Whenever I create a new recipe for an entree I also have to think of what side dish to make. In order to have a nice presentation of the main dish I need to have a complimentary side dish. 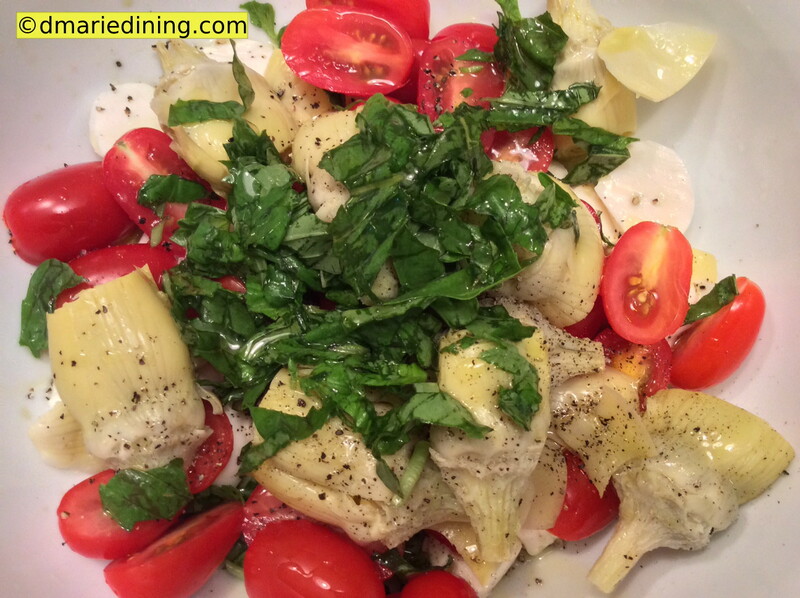 This tomato, mozzarella and artichoke salad was born as a side dish to my Deli London Broil 2 for 1 recipe. 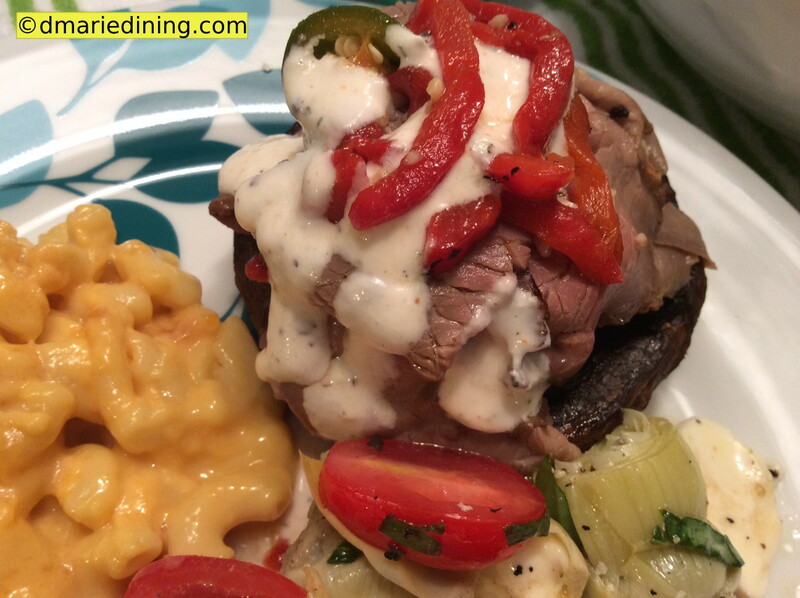 I wanted something colorful and easy to make to help the pictures of the London broil pop. The color red is always and eye catcher. 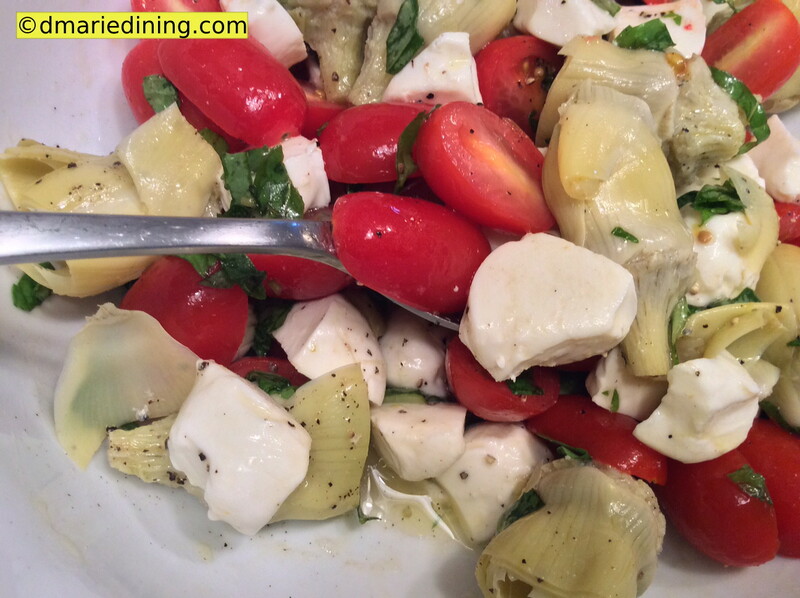 So, the combination of the tomatoes, the bright white of the mozzarella and pale green of the artichoke blend together well to create a nice visual dish. 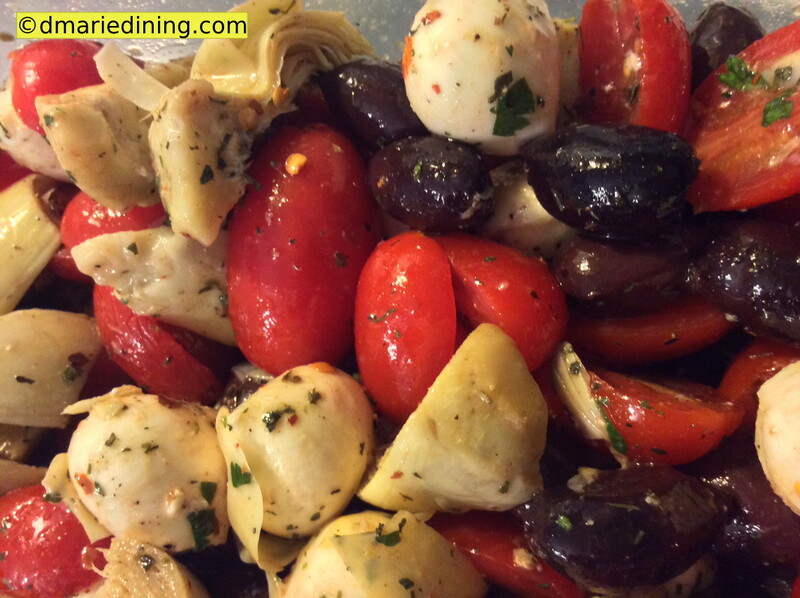 Besides using this recipe as a side dish I also used it as a topping for a salad which tasted great. No matter how you decide to use this recipe it will be a winner. Combine all ingredients in a large bowl and mix until well blend. Chill in the refrigerator for at least 30 minutes.